What is Medical Expenses Coverage and do I need it? Medical expense coverage, also known as medpay or medical payments, is available on Virginia automobile insurance policies as an optional coverage item in Charlottesville, Augusta County, Waynesboro and throughout Virginia. What does it cover? 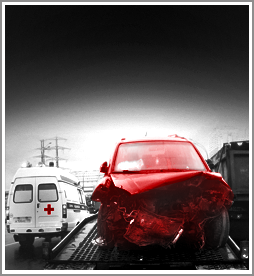 It will pay for reasonable and necessary medical expenses for injuries arising out of the use of a car, including injuries from a car wreck. It covers everyone in the car and it pays no matter who is at fault. Even if you have other medical insurance, it is still payable . The amount of the coverage is selected by you and it will be an amount from $1,000 up to $10,000. Whether you need this coverage depends on your personal situation, but our personal injury lawyers in Charlottesville think it is generally a good idea for everyone as it covers anyone in the car. If you have health insurance, you can look at your coverage and see what your deductibles and co-pays are and what is the scope of coverage. For instance, is chiropractic care covered. Most likely, you will find that medpay is worth the small premium charge. If you do not have health insurance, it is certainly worth the cost.